Who is Your favori Character in "The Adventures of the Little Koala"
That's right, folks! Our beloved and most missed shows of the '90s are finally coming back to our télévision screens after years of endless pleading! I never thought I'd ever see the day...until today, actually. When we had old cartoons,The Amanda Show,Legands of the Hidden Temple,Hey Arnold,Are toi Afraid of the Dark? a pop quiz question a été ajouté: Rugrats: Anjelica once was handcuffed to...? a pop quiz question a été ajouté: Rugrats: In "Spike Runs Away", what does the rich man who finds Spike feed him when he brings him back to Stu and Didi? a pop quiz question a été ajouté: In "A Rugrats Passover", where did everyone get locked in? a pop quiz question a été ajouté: Rugrats: What did Chuckie avaler, hirondelle that the other kids "pretended" to go in and get out of his belly? 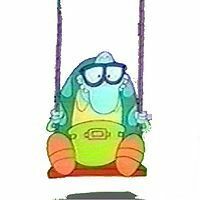 Rocko's Modern Life: Once at Halloween, Rocko found Filburt with a note on his tortue shell. What did it say? What's your favori "Old School Nickelodeon" Show?